If you trace back far enough in the life of any geek or creative person, you’ll find something they did or saw or read that acted as a catalyst that led them down that path. We all have something in our past—usually from our childhood or early adolescence—that shapes who we are and what we want to do. 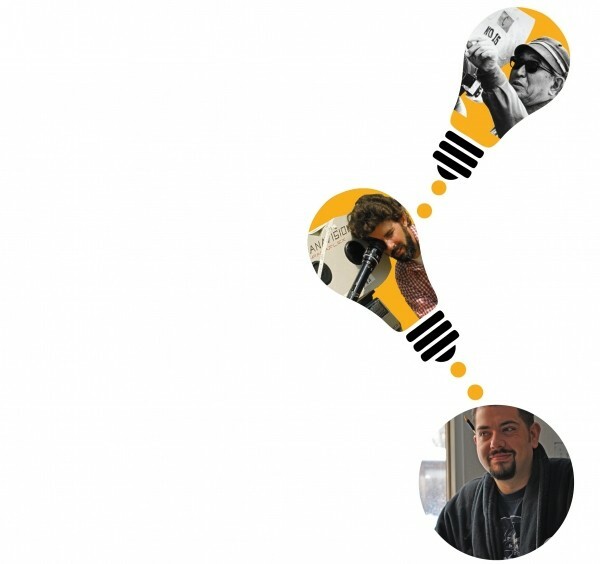 If you listen to many of the influential filmmakers of today, you’ll know that Star Wars is that movie that inspired them to get into filmmaking. The generation before that seems to point to the work of Ray Harryhausen, the stop-motion animation master who brought us the battling skeletons in Jason and the Argonauts. I find it intriguing to trace the inspiration of a person back and see the ancestry of their work. I love taking Kurt Vonnegut and charting his writing course against a healthy backdrop of Mark Twain’s inspiration. Stephen King’s love of author Richard Matheson was so legendary that it rated a mention in Matheson’s obituary in June. Matheson inspired many, myself included; books I Am Legend and What Dreams May Come became movies, and a short story became Steven Spielberg’s first film, Duel. He wrote so many influential bits of sci-fi, it’s hard not to be influenced by him. But being influenced by someone and being knocked right between the eyes by someone or something are two different things. Finding out who set people on their path is endlessly fascinating to me, like the stories of George Lucas in film school, being blown away by the screenings of Akira Kurosawa films that later inspired Star Wars. The one time I had a conversation with Lucas, it was on the topic of Kurosawa, who’d also blown me away. Lucas has told the story a hundred times: how John Milius tried passing on his enthusiasm of Japanese cinema, which is something that seemed out of reach for Lucas, a small-town kid from Modesto, Calif.
Each story you get from someone about the initial source of their inspiration is deeply personal and awe-inspiring. Every story is unique and imbued with such passion and memory. and I became obsessed with how the story and the filmmaking worked. It was the first time I realized that stories were engineered. I spent the rest of the year convincing my friends they needed to see the film with their family and, in turn, take me along. I saw the film almost 10 times, and with each new viewing, my understanding of what a story was, and what it could be, was magnified a hundred fold. Seeing it again at the Tower Theatre recently rekindled my obsession with the film. Is it the best film in the world? No. But it had a profound effect on me, and I will forever be grateful for that. And yes, seeing it again like that elicited small tears of fondness, joy, nostalgia and a yearning to reconnect with the thing that set me down the path I’m still strolling down. Take time and identify with the thing that set you onto your path of being that person. Was it Star Wars? Was it a comic book? Was it something else entirely? Figure out what it was for yourself and revel in it. Find that joy again. And do yourself a favor: Ask other people about what it was that made them start to tick. You’ll get a different story from everyone, but I have no doubt that it will be full of passion. And really, isn’t passion one of the best things to feed on as a geek, or an artist, or just a human being?